Captain Hook, Zarina The Pirate fairy, Belle and Tinkerbelle invaded Wokingham Library today on their journey of good and bad. The story was opened by Belle as she sings and dances in her library, as she has such a love for stories. Hook sets sail and entices Zarina to become his ship mate in the promise of offering her what she’s always wanted. Tink saves the day and Pixie hollow but she needs your help as well as Belle’s story magic. Will you be on the good side? Presented by The Enchanted Players Theatre Company at Wokingham Library on Wednesday December 21. Bank Holidays – All our Libraries will be closed on Monday December 26, Tuesday December 27, 2016 and Monday January 2, 2017. The New Year kicks off with a workshop-Understanding being overweight and obese, which offers adults advice to prevent and treat obesity. This takes place at Wokingham Library on Thursday January 12, 6.30pm to 8pm, charge £2. There will be a Dementia Friends Information Session at Wokingham Library on Thursday January 26, 10.30am to 11.30am when members of the public can find out more about what it’s like to live with dementia and ways of helping dementia sufferers. This is a free event. Katrina Barnes returns to Wokingham Library with a new illustrated talk -Of Sushi and Students, when she describes her experiences of living, teaching and travelling in Japan. The talk takes place on Thursday January 26 at 6.30pm, £3 charge. To celebrate National Storytelling Week there will be a Multi-Sensory Storytime at Wokingham Library on Friday January 27, 1.45pm to 2.45pm with Bag Books for adults with learning difficulties. This is a free event, just drop-in! Rachel Freegard will be running a craft workshop entitled Moroccan Inspired Wall Art Workshop at Wokingham Library on Saturday January 28, 10am to 1pm, charge £5. January 27 is Holocaust Memorial Day when we will be remembering the millions of people murdered in the Holocaust, under Nazi Persecution and in the subsequent genocides in Cambodia, Rwanda, Bosnia and Darfur. All libraries will have displays and recommended book titles to help commemorate these events. It’s fun, it’s Free, it’s at your local Wokingham Borough Library this Winter. 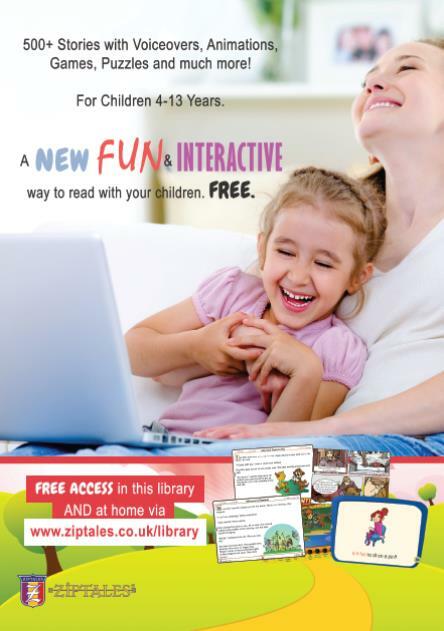 Open to all library members aged 4 to 16 years old. Sign up in the library and get a free collectors card, borrow and read three books and you will receive a certificate on completion. We would encourage you to write a book review to add to our Winter Reading challenge wall too. Once complete you can enter our book themed prize draw. Join the challenge from Saturday November 26, in any Wokingham Borough Library. The Challenge will run until January 8, 2017. The Little Explorers book club library challenge is for children aged 7 and under. Children collect a stamp each time they visit the library and borrow books. When they have collected 6 stamps they receive a certificate. We also run the following activities for the under 5’s. Little Explorers Storytime Stories and rhymes for parents and children to enjoy together, For children aged 5 and under. Free! Baby Signing Come along for a free taster session with TinyTalk, for babies from 6 to 24 months, places must be booked by calling 0118 978 1368. At Wokingham Library on Wednesday January 11 from 10.30am to 11am. Baby Massage with Suzie for babies up to 9 months old. £3 charge, places must be booked by calling 0118 969 0304. At Woodley Library on Friday January 20 from 10am to 10.30am. Library volunteers enjoyed a festive coffee morning at Wokingham Library on 7 December. It was an opportunity to meet other volunteers and staff, browse the charity Christmas cards on sale and indulge in mince pies. The volunteers enjoyed making some Christmas origami with help from a member of library staff, Rachael. Happy Christmas to all our library volunteers and we are very grateful for their commitment and hard work during 2016. In this festive Spotlight, we are highlighting an article from Britannica about Christmas providing relevant topical information for children. Find out about the different ways that Christmas is celebrated around the globe and the many traditions that are practiced at this time of year. The Activity Centre is packed full of fun and educational things to do to keep children entertained in the run up to Christmas. A group of local historians have just published a brand new book telling the story of their village in word and pictures. The Spencers Wood Local History Group has been working for a number of years on the book “More From Our Village of Spencers Wood”, tracing the origins of the south Wokingham village. One chapter is devoted to the library, which was originally an infants school. Each month we will choose a book we would like to recommend to adults. We would be interested to hear your views on the title so please let us know via Facebook or Twitter. When Cora Seaborne’s husband dies, she steps into her new life as a widow with as much relief as sadness: her marriage was not a happy one, and she never suited the role of society wife. Accompanied by her son Francis – a curious, obsessive boy – she leaves town for Essex, where she hopes fresh air and open space will provide the refuge they need. When they take lodgings in Colchester, rumours reach them from further up the estuary that the mythical Essex Serpent, once said to roam the marshes claiming human lives, has returned to the coastal parish of Aldwinter. Cora, a keen amateur naturalist with no patience for religion or superstition, is immediately enthralled, convinced that what the local people think is a magical beast may be a previously undiscovered species. As she sets out on its trail, she is introduced to William Ransome, Aldwinter’s vicar. Like Cora, Will is deeply suspicious of the rumours, but he thinks they are founded on moral panic, a flight from real faith. As he tries to calm his parishioners, he and Cora strike up an intense relationship, and although they agree on absolutely nothing, they find themselves inexorably drawn together and torn apart, eventually changing each other’s lives in ways entirely unexpected. Told with exquisite grace and intelligence, this novel is most of all a celebration of love, and the many different guises it can take. Pop into Woodley Library to see there, Christmas Displays. Children are encouraged to colour in stars to add to the night sky scene. Would you like to make personal cards for friends or loved ones this Christmas, or even plan ahead for birthdays and anniversaries next year but never seem to have the time or the right materials to hand? Then give yourself an afternoon off and join Helen Cook – papercrafter, scrapbooker and Independent Stampin’ Up demonstrator – at Woodley Library, Fridays from 2 – 4pm. Helen will encourage you to play with stamps, ink, punches and diecuts – and even if you don’t know what some of those are yet, Helen’s, enthusiasm, warmth and friendliness will help you find your creative side in no time. There is a £5 charge for the afternoon, which includes all materials plus tea or coffee and biscuits. Just drop in any Friday (excl Fri 9th Dec) or if you would like further details please contact Woodley Library on 0118 969 0304. Helen Cook says-“I’ve always been a keen photographer and I love making personal cards for friends. Then a friend introduced me to Scrapbooking and I was hooked! All Wokingham Borough libraries will be closed on Sunday December 25, Monday December 26, Tuesday December 27, 2016 and Sunday January 1, Monday January 2, 2017. All libraries will close at 1pm on Saturday December 24th. During the rest of the festive period the libraries will be open normal branch hours.